Fireplaces are one of the most luxurious parts of a home, especially in	the winter months. Being cozy and comfortable around a roaring fire brings	families together, and the team at Jetmore Fireplace Center in Wantagh,	New York wants you to be prepared for comfort in the cold, Northeast winters. Our selection of quality fireplace appliances and accessories ensure you	will always find what you are looking for to get the most out of your	fireplace experience. There are many ways to improve your current fireplace. Stop by our location on Merrick Road and our knowledgeable staff can show	you our selection. A fireplace insert can be a perfect addition to any	wood burning fireplace. Let our team walk you through the process of installing	and implementing a fireplace insert – we look forward to serving you! 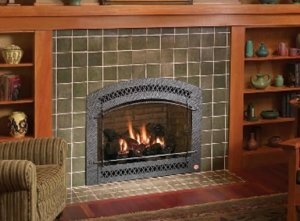 At Jetmore Fireplace Center, our selection of fireplace inserts is second	to none. Best of all, we have inserts that fit a wide range of types of	fireplaces so you aren’t limited. Inserts can differ in size, style,	shape, and application depending on the type of fireplace you own. When	working properly, all inserts will help to transfer heat from the chimney	to the home so you can be assured you’re toasty and warm on those	brisk winter nights. Adding a fireplace insert allows your wood burning	fireplace to be changed to a gas, electric, or a more efficient wood burning	stove insert. We understand that any accessory to your fireplace needs to be of the highest	quality, which is why we pride ourselves in sourcing the best inserts	from top producers. We are proud to carry wood fireplace inserts by Avalon,	Lopi, Fireplace Xtrordinair, and Osburn. We carry pellet inserts by Avalon	and Lopi. These brands have earned reputations for top quality inserts	and we aim to pass that quality on to you. Heating your home efficiently	with the best products is important for sustaining comfortable warmth	in your home. We stand by the products we sell and always aim for the	highest level of customer satisfaction possible. If you’ve made the decision to purchase a fireplace insert, contact	Jetmore Fireplace Center today. Our experienced team can help walk you	through the process of picking which insert will work best for you depending	on the type of fireplace, the space available in your home, and your budget. We know a happy customer is a repeat customer, and want you to be 100%	happy with your fireplace insert. Heating a home is essential during the	winter months, and wood burning fireplace inserts in particular can help	mitigate the frosty potential of power outages during storms. Call today	for more information about our fireplace inserts or stop by our showroom	to see our extensive selection. We are conveniently located on Merrick	Road in Wantagh on Long Island. For high quality fireplace inserts you can depend on,	contact Jetmore Fireplace Center today at 516-826-1166!